Today we're all biznass for the weekly Saw it. Pinned it. Did it. link up yo! Now that we're in our new home, I've quickly found out that if there's one thing in this life I absolutely love it's hosting parties, dinners, showers, you name it. There's just something about running around like a mad woman cleaning, cooking and decorating that totally puts me in my happy place. Weird. I know. Aaaand here's the version I created! Simple, inexpensive and totally makes a statement. Precious, right?! 1. To begin, fold your tissue paper in half and then in half again, making a square. 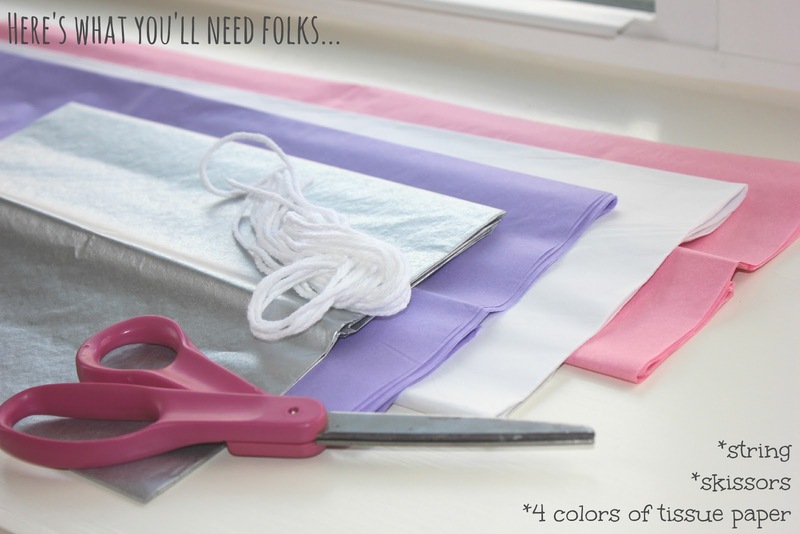 Start cutting strips towards the fold to create the fringe, leaving about 1 inch uncut from the fold line. (My strips were about 1/2 inch thick.) FYI - one piece of tissue paper makes one tassel. 2. 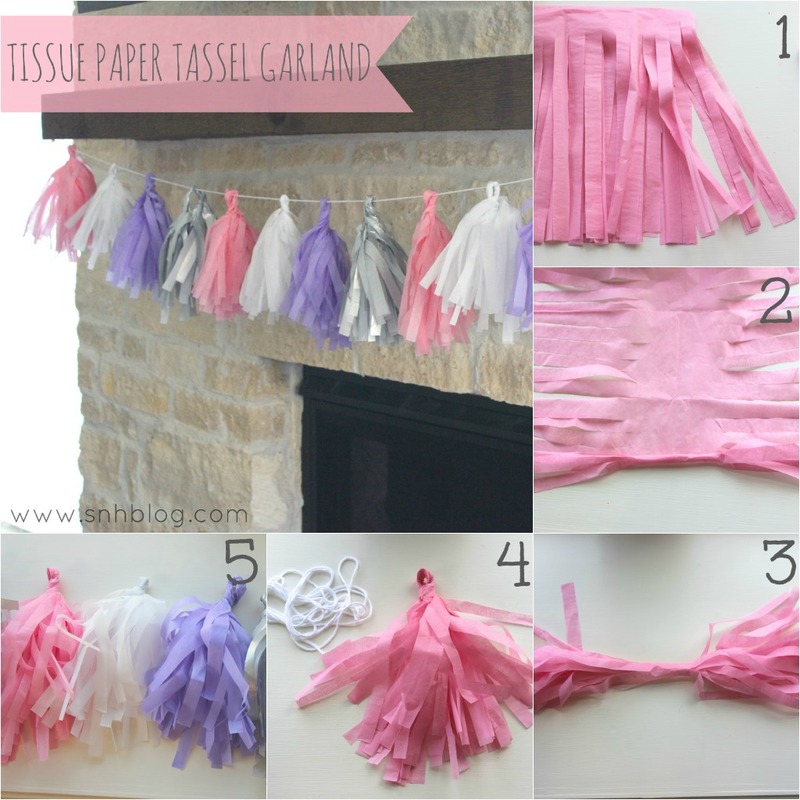 After all your strips are cut, unfold your tissue paper (careful not to rip it!) and begin tightly rolling your tissue paper down the middle. 3. Continue rolling down the middle, untangling your fridge as needed. 4. Fold in half and then twist creating the loop for hanging. 5. 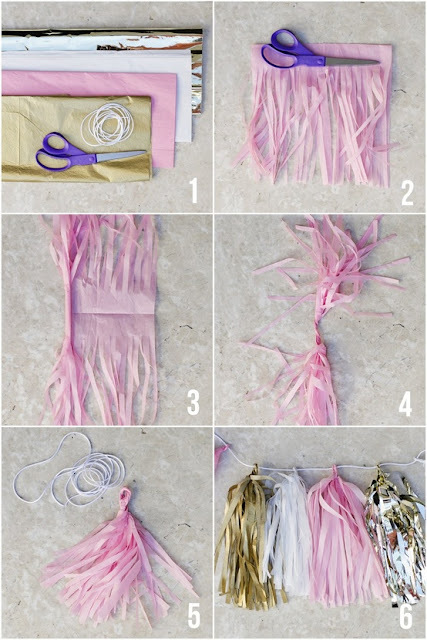 Repeat to create more tassels in various colors. Hang from string (or ribbon) and fall in love with your new DIY mantle decor!